Complete in harmony with its lush, jungle setting the 5-star, all-inclusive Iberostar Quetzal hotel provides a tropical escape. Sports enthusiasts have all sorts of fun challenges on land and water, while exhilarating entertainment will keep the entire family engaged and the food lovers can delight in various buffets and a la carte restaurants. It’s all here with your all-inclusive stay, in a setting that lets total relaxation come naturally. 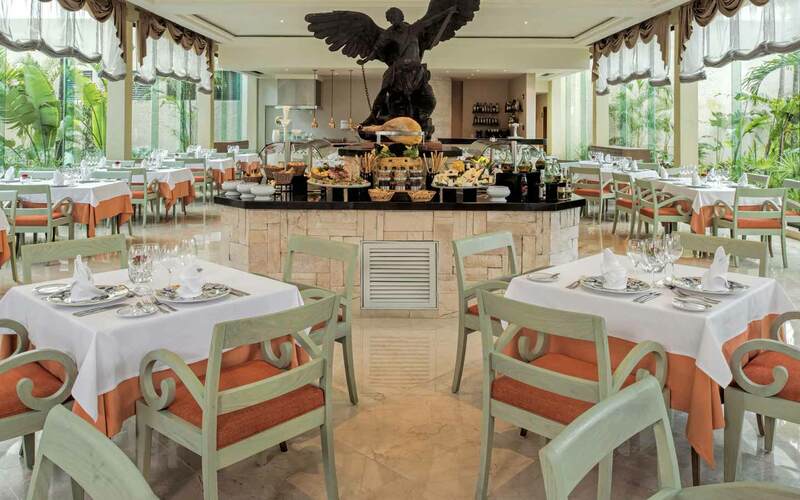 The entertainment is non-stop at the 5-star, all-inclusive Iberostar Quetzal Hotel. A dazzling array of activities and programs will keep kids of all ages and interests engaged and also keep adults total indulged. Shows, dancing, games of every description and an incredible spa just to pamper yourself and relax. It’s all here for the vacation of a lifetime. Aqua Fun - A place to swim just for the youngsters. Located in the Kid’s Club. Hours: 8:00 AM- 6:00 PM. For children from 4-12 years old. Star Camp - The place to get togeth ser for organized games and free play. Hours: 10:15 AM-4:30 PM. For kids 4-12 years old. Fun Park - Hours: 8:00 AM - 6:00 PM. For kids 4-12 years old. Dance Instruction - Learn all the popular steps. Hours: 12:30 PM. Theatrical Presentations - From musical reviews to magic and more. Hours: 9:30 PM-10:00 PM. Karaoke - You’ll do it “your way.” Hours: Monday and Thursday. 11:00 PM. 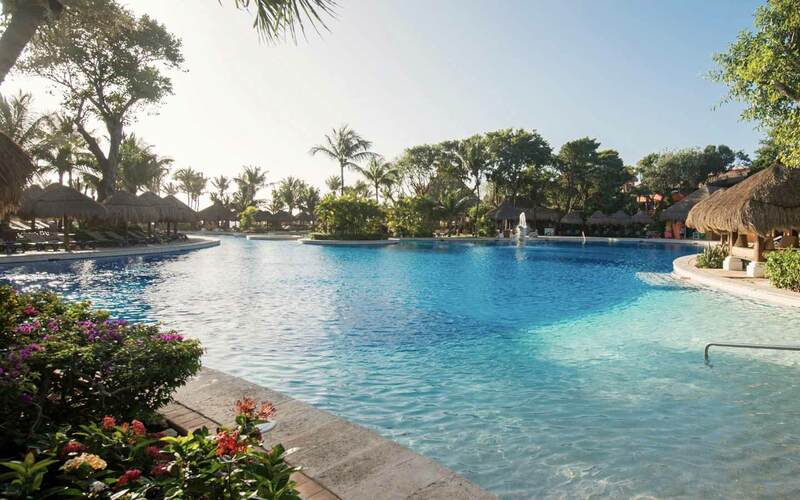 Whether you’re a passionate devotee or eager to try something new, the 5-star, all-inclusive Iberostar Quetzal Hotel has an outstanding variety of sporting activities for everyone. The legendary reefs just offshore are an absolute must to explore by scuba diving or snorkeling. Play tennis all day and night or simply relax and tone with yoga, and a great workout at the fully equipped health club. With the inspiring tropics and mystical Mayan ruins as a backdrop, you’re sure to achieve a balance of mind, body and spirit. The only thing better than a great vacation is one that’s perfect. 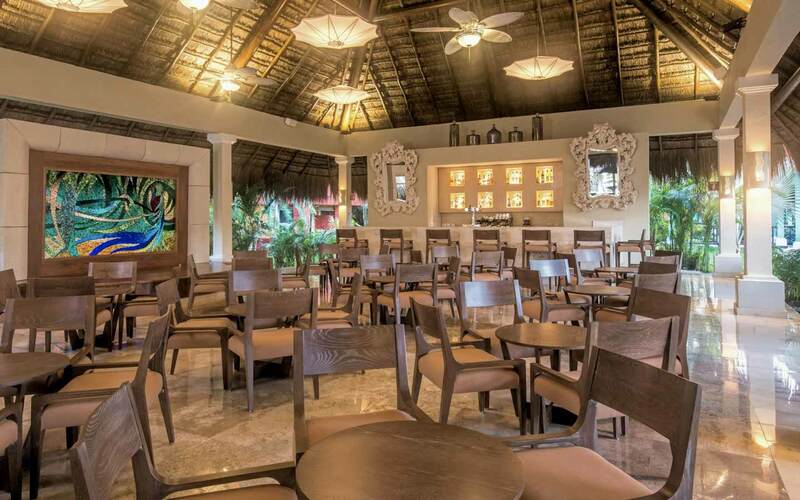 The 5-Star, all-inclusive Iberostar Quetzal have on staff a team of professionals dedicated to providing you with all the conveniences and services to ensure a flawless stay. Concierge - Eager and knowledgeable, ready to help you make the most of your stay. Hours: 8:00 AM-11:00 PM. Gratuities & Taxes - All tips and taxes are included, so there’s nothing to worry about. Room Service - Enjoy food and drinks without leaving your room. Hours: 11:00 AM-11:00 PM. Sensations Spa - Pamper yourself with a full range of spa services including massage, facials and therapies that calm and soothe. Additional charges apply. Hours: 8:00 AM-7:00 PM. Reservations: Required. Babysitter - Happy to look after the little ones for you. 2 kids maximum. Additional charge apply. Reservations: Required with the concierge. *Subject to availability.